The combined mounted flap wheels FAPI-KOMBI consist of alternating lamellae of non-woven web and abrasive cloth. Both of these lamellae are fastened fan like around the tool’s axis. 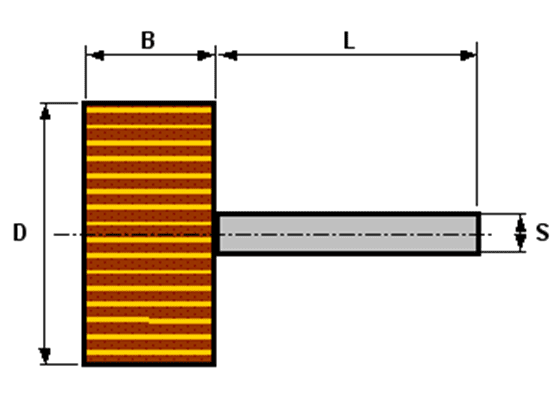 The combined mounted flap wheel‘s abrasiveness during operation – because of its non-woven fibre and abrasive cloth surface – lies between that of a mounted flap wheel FAPI-FLEECE and a mounted flap wheel FAPI-SAND. 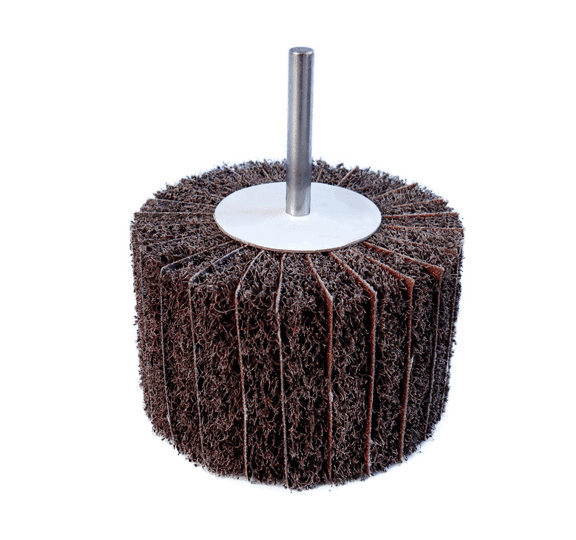 The mounted flap wheel has a shaft diameter of 6 mm and can be used on hand grinders and satin finishers.